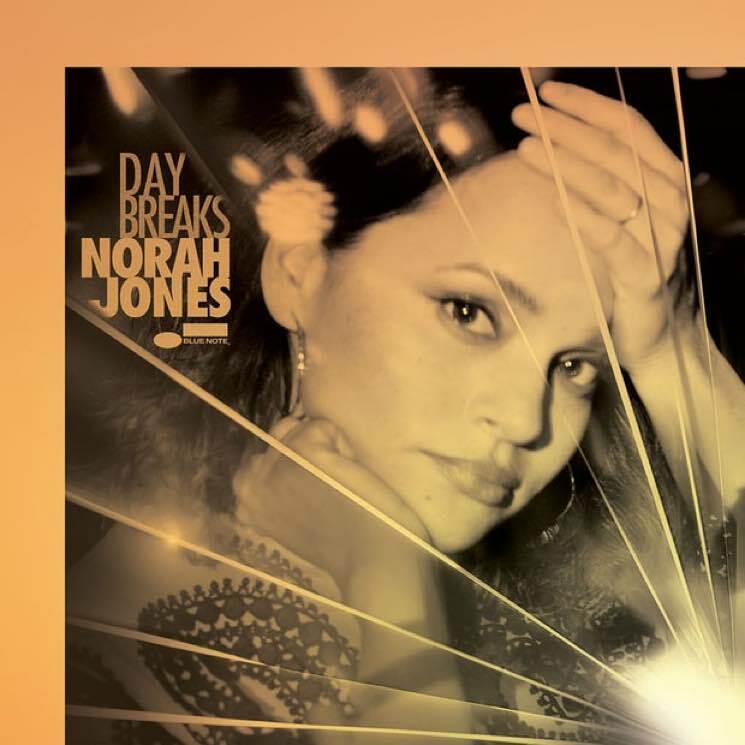 Norah Jones goes back to basics with her new straight up jazz album, Day Breaks. While her 2002 breakout debut Come Away With Me is arguably more of a pop record, and subsequent records dabbled in country and folk, Jones has never been shy about showing her jazz roots, and with this 12-track full-length, she hews closely to the genre. As a musician, vocalist and lyricist, Jones is in a solid place in terms of mastery. This time out, a collaboration with names such as saxophonist Wayne Shorter, percussionist Brian Blade and bassist John Patitucci sees a the self-professed "jazz dropout" helm a strong project of original material, save for a sweet rendition of Duke Ellington's "Fleurette Africaine" and a bulletproof interpretation of Neil Young's "Don't Be Denied." Together, the tight ensemble conveys a warmth and quietude that envelops the entire affair. Opener "Burn" sets the jazz stage, and unfolds with a sultry smoulder. Title track "Day Breaks" rushes in with restrained intensity, its sax breaks and urgent bass layered brilliantly. The gentle bass-assisted swoon of "Then There Was Youis sublime, while the fluidity displayed on "Peace" sees Jones establish a modern standard by way of strong lyrics and piano playing. The lone soft spot is "Tragedy," with its repetitive chorus — "It's a tragedy" times five — slightly obscuring the intended impact of an account of wayward love. Norah Jones Enlists Jeff Tweedy for New Song "Wintertime"